MARQUETTE, MI-- A Marquette-based program that trains rural emergency responders is in jeopardy. More than 400 people from the U.P., lower Michigan and northeastern Wisconsin are expected at the four-day UP-EMS conference this week. The state pulled funding for the annual event two years ago. UP-EMS Executive Director Bob Struck says the conference has been self-sustaining with outside funding since then, but future funding is uncertain. He says the conference has been critical to emergency responders from rural areas over the years. Struck says many rural emergency responders are volunteer and don’t have the money to travel downstate to learn about the latest techniques. 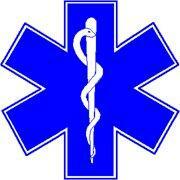 He adds for many, the conference is the only way to get the education necessary to maintain their EMS license.